I am a huge fan of Blueberries. I always have been and hope that trend will last until the day I die. 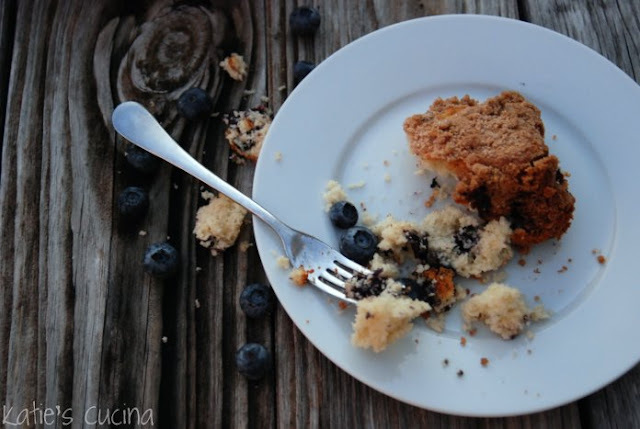 I’ve also always loved a good coffee cake. So when I found this recipe I knew it was a match made in heaven! It has taken me a long time to perfect the art of the “crumble”. I first started making a crumble top apple pie about 7 or so years ago. I have come along way. 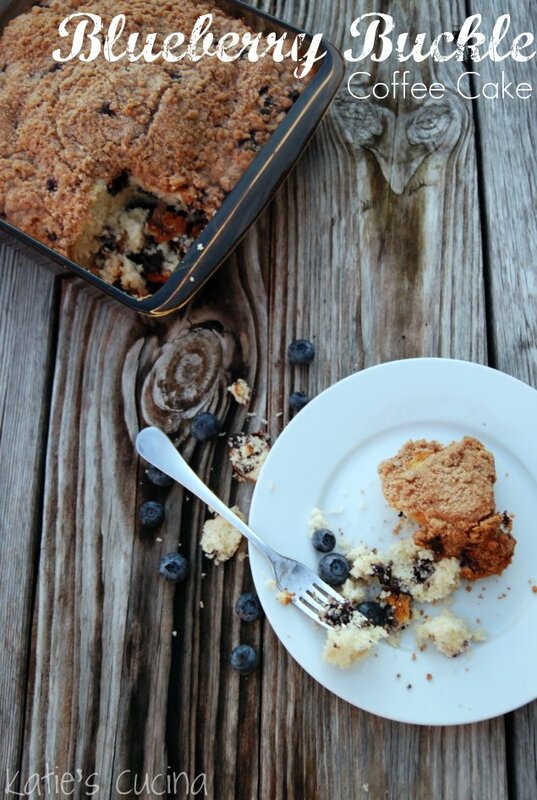 If you are new to making a crumble top–don’t get discouraged with lots of practice, you too will become a crumble pro! The key is to have cold butter and to get ready to have a nice arm work out! It’s not stop movement until you notice crumbs beginning to form. It is a labor of love, but well worth it in the end. My husband who is not a big “sweets” kind-of-guy loved this cake, but didn’t verbally express it to me until after I brought it to work and the “vultures” devoured it. The following day he was apparently looking forward to a piece in his lunch box. When he found out we didn’t have any more he was upset with me. This is a good lesson learned, make sure you verbally tell the person you enjoyed the meal. We can’t always assume that you like it! Whether you chose to make this for a Sunday morning breakfast, a brunch with family and friends, or just because I can guarantee that you will love this recipe and their won’t be a single crumb leftover! 1. Preheat your oven to 375°F. 2. To make the topping you will want to mix the sugar, flour and cinnamon in a small bowl. Cut the butter with a fork until it begins to crumble. Set aside ( I like to place it in the refrigerator so it doesn’t melt into one big blob). 3. Next we will want to make the batter. In a large bowl blend the flour, baking powder, and salt together. In a stand mixer you will want to cream the sugar and butter. Gradually add the egg and vanilla. Alternately add the milk and the flour mixture to the creamed mixture, ending with flour. Stir only enough to blend. Gently fold in the blueberries. 4. Pour the batter into a well-greased and floured, 9-inch square cake pan. Sprinkle the topping over the batter and bake for 40 to 45 minutes or until cake comes out clean. 5. Let the buckle cool for 10 minutes. Loosen the sides with a knife or spatula, cut, and serve. Looks delicious! That's really funny about your husband. He definitely should speak up! You deserve the praise anyway! I'd love for you to join my linky party, Crazy Sweet Tuesday, sometime! I love your recipe! Would you come over to CAST PARTY WEDNESDAY tomorrow and share it with us?